PRESIDENT Mugabe yesterday warned people against following the bandwagon of new churches whose leaders he described as sweet talking thieves who use the Bible as a front to swindle innocent followers of their hard earned money. Speaking at the sixth Zanu-PF Presidential Youth Interface Rally at Pelandaba Stadium in Gwanda, President Mugabe urged people to remain worshipping in traditional churches that brought about development in the country. 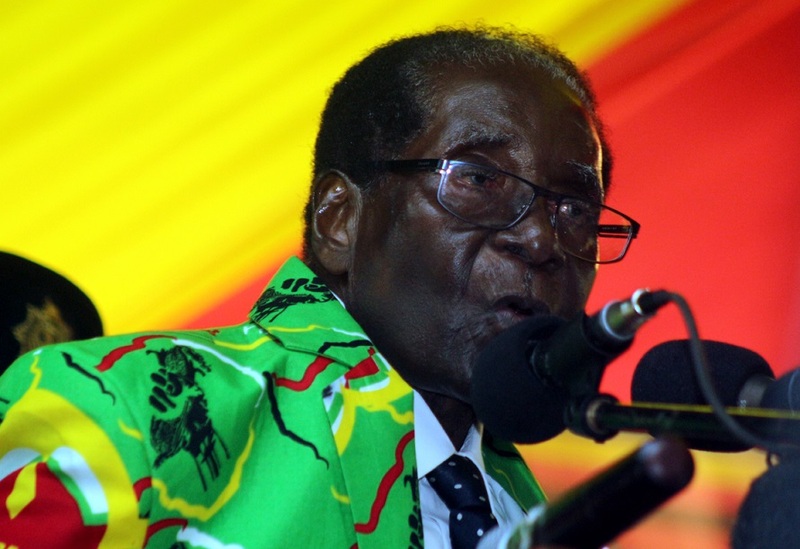 Urging Zimbabweans to pray for the country, President Mugabe said he did not understand why people including some Government ministers were flocking to new churches, abandoning the traditional churches that brought Christianity into the country. “You should pray, we all should pray but be wary. Don’t go to thieves who when they get a Bible verse, they go on and on with it. Yes, it will be sweet. They are swift takers, they don’t tire and you gather, be it at Harare grounds or wherever and at the end they will be targeting your pockets. What is in your pockets, they ask. Sometimes you are told that if you give them money your lives will change forever. They’d want to show you. You will be asked to seed $1 and told that you will reap $30. Give me that money and I pray for it and it will be multiplied forever,” he said. President Mugabe gave several examples of schools that were built in the country by the traditional churches as examples of how credible the churches were. Giving himself as an example of someone who has remained in the church he was baptised, the Roman Catholic, the President said he was surprised why some people travelled as far as Nigeria following the new churches and their prophets. “Be wary. You were members of the traditional churches that brought this word, churches that taught us, built schools (such) as Empandeni, Thekwane, Kutama, Waddilove and Dombodema. Have these churches failed to teach you that you should run to these churches? “Some have developed cracks on their feet going to Nigeria following these churches. I don’t understand why you would believe what is quoted from the Bible by someone in Nigeria, a Bible that you can read and interpret. Even some of my ministers, I just look and wonder where they will end up. I was baptised a Catholic and I will remain in that church. I will pray in that church. “Why can’t we remain in these churches that brought us development, churches that built schools and taught our children,” he said. Meanwhile, the Zanu-PF Youth League National Commissar Cde Innocent Hamandishe thanked President Mugabe for assisting in the reinstatement of 2 000 youths who had been retrenched from Government without Cabinet approval. Cde Hamandishe said the youths were now back at work and had received their July salaries. “We want to thank you Gushungo and update you that those youths that had been retrenched are now back at work. They have received their July salaries and we are grateful for your efforts President. There are those who have been saying that some of these youths are not educated, but I would like to say every Zimbabwean youth, educated or not votes,” he said.